Stephen Kahne was born in 1937 in New York City. He earned the B.E.E. degree from Cornell University in 1960, and the M.S. and Ph.D. degrees in Electrical Engineering from the University of Illinois in 1961 and 1963, respectively. 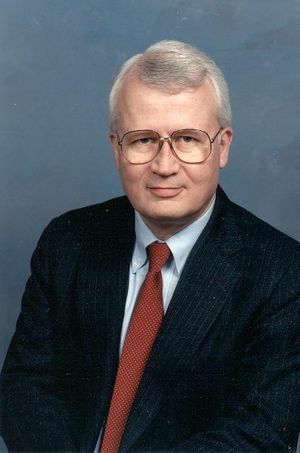 After finishing his doctoral work, Dr. Kahne served a three-year term as a commissioned officer in the U.S. Air Force and was instrumental in creating the Control and Information Systems Laboratory at the NASA Electronics Research Center in Cambridge. In 1966 he was appointed Assistant Professor of Electrical Engineering at the University of Minnesota, where he remained until 1976 serving as Associate Professor and Director of the Hybrid Computer Laboratory for much of this time. Also, during this period he and several colleagues founded and managed an environmental design firm, InterDesign, Inc., in Minneapolis. In 1976 he was appointed Professor and Chairman of the Department of Systems Engineering at Case Western Reserve University in Cleveland. On leave from Case (1980-82), he served as Director of the Division of Electrical, Computer and Systems Engineering at the National Science Foundation. He was a Professor of Electrical Engineering at the Polytechnic Institute of New York from 1983 to 1985 and served as Dean of Engineering there. From 1985 to 1989 he was Professor of Applied Physics and Electrical Engineering at the Oregon Graduate Center near Portland and served a term as its President. In 1989 Dr. Kahne joined The MITRE Corporation in McLean, Virginia, where he was Chief Scientist of MITRE's Washington group. His research work in control and systems engineering is documented in approximately 70 published papers in a variety of professional journals. Since 1964 Dr. Kahne has held nearly fifty volunteer positions in the IEEE. For the Control Systems Society, he served as Associate Editor and Editor of the IEEE Transactions on Automatic Control (1965-79) and has held several administrative positions, including that of President (1981). He was a member of the IEEE Board of Directors, (1982-85) and Vice President-Technical Activities, (1984-85). He has served on the United States Activities Board, the Publications Board, the Educational Activities Board, and the Technical Activities Board during the past twenty years. He has served on the Editorial Boards of the IEEE Spectrum and The Institute and also several other publications-related committees within the IEEE. In 1979 he was elected a Fellow of the IEEE. He was awarded a Distinguished Membership in the Control Systems Society in 1983, and an IEEE Centennial Medal in 1984. Dr. Kahne has been recognized for achievements by other professional and civic associations as well: Fellow of the American Association for the Advancement of Science (1980); Member of the Board of Regents of the Long Island College Hospital; Founding Chairman of the Beaverton (OR) Sister Cities Foundation (1980's); Case Western Reserve University Centennial Scholar (1980). He was President of the International Federation of Automatic Control (IFAC) and served the 1993-1996 term. In 1990 he received the IFAC Outstanding Service Award. His Polish-educated wife Irena Nowacka Kahne is a painter and weaver. The Kahnes have two children Christopher and Katarzyna and reside with their two Chow-Chow dogs in Reston, VA.